Like certain health myths, word-of-mouth food and nutrition myths can become widespread, and do more harm than good. Others are fairly benign to your body, but hard on your wallet. Whether you’re trying to lose weight or just eat healthier, learn to separate these fictions from fact. Actually, nothing is better than eating produce whole. Despite the benefits of pressed juice, the downside is that it leaves behind most of the fiber from pulp and skin. Normally, the fiber found in your favorite juicing produce keeps your body from digesting all that sugar too fast, resulting in a sugar high. If you want to keep on juicing, try to pick vegetables and fruits in your juice that are light on the sugar, or offset it with celery and kale. Or, go for a smoothie to keep the fiber in your drink. Kale does have lots of nutrients and benefits. These include high levels of folate and more calcium per gram than a cup of milk. But while kale is certainly good for you, it’s not even in the top 10 healthiest vegetables, according to a study by the Centers for Disease Control. Better foods include: spinach, Romaine lettuce, parsley, and chives. The very best green in regards to nutrition is actually watercress. 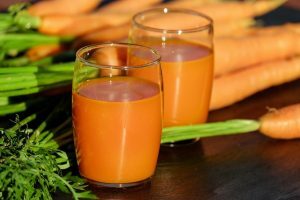 There are two types of detox treatments: treatments applied by professionals to help recovering addicts purge dangerous substances from their body; and “sham” treatments that behave like any “get slim now” diet. The former is respectable, and the latter exists to sell you things. In reality, your liver and kidneys–when they’re healthy–do the detoxing for you. Now, there are certain foods that can cause a buildup of heavy metals and other unwanted additives. Rather than buying products to combat this, adjust your diet if necessary to make sure your body can do its job. Your body’s natural function aside, here’s where this myth has some truth. Supplements like spirulina and milk thistle extract can reduce metal toxicity. Still, you don’t need fancy herbal or spa treatments to promote liver and kidney health. The theory behind this myth is that you can keep your metabolism going by feeding it through the day, burning more calories overall. However, this actually keeps you from burning fat. Constant eating makes your body release insulin and focus on storing sugar, rather than releasing it to burn fat. The other downside of “grazing” is that you can easily lose track of how many calories you’ve had. Rather, if you’re trying to lose weight, try converting it to muscle. Muscle burns more calories than fat does, even if the actual amount is small. Still, that will add up over time. Carbs don’t make you fat or gain weight; rather, extra calories do, regardless of the source. Don’t blame all pasta and bread equally; blame the amount. For example, don’t feel bad about taking home your restaurant Italian food rather than finishing all three cups of pasta in one sitting! While you’re at it, try switching to whole grains to get more vitamins and minerals than white breads, rice, and pasta.